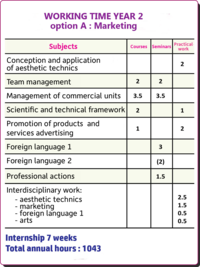 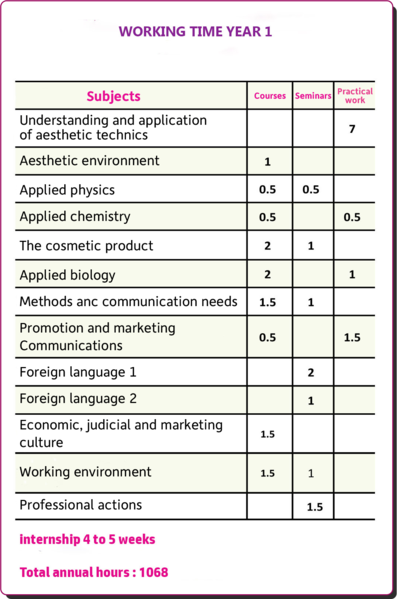 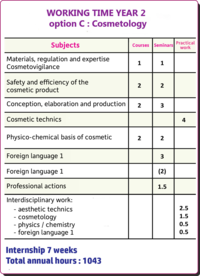 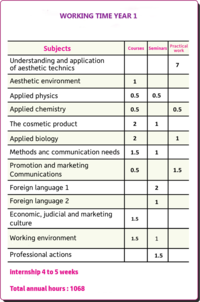 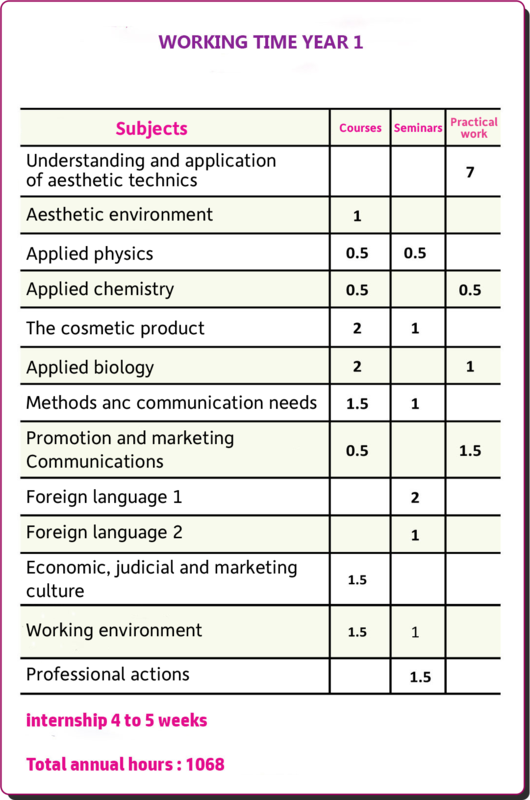 This 2-year technical degree of "Aesthetic, cosmetic and perfumery" concerns aesthetic and cosmetology sectors. Laureates of this degree will have high-qualified skills in aesthetic, cosmetology and perfumery fields. 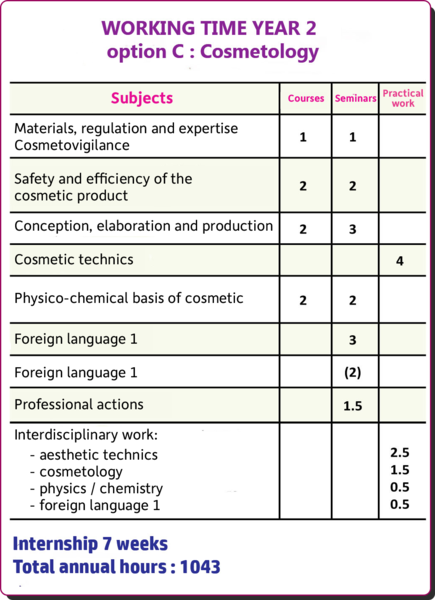 At the end of the first year, students choose the main option they want to study: either cosmetology (C-option) or brands training (A-option). Aesthetic anc cosmetology BTEC National. 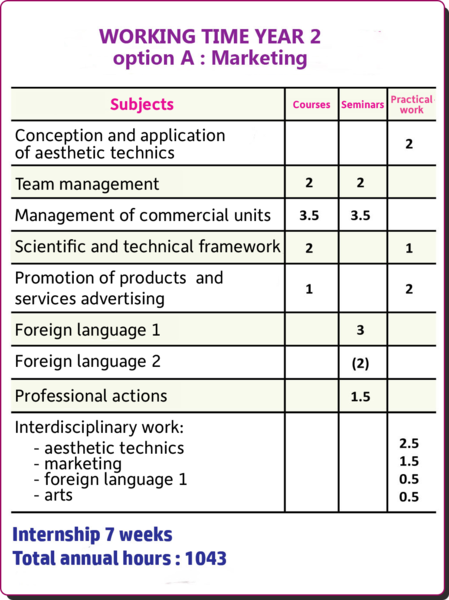 During the training, students have to do a 4 to 5 weeks internship at the end of the first year and 7 consecutive weeks between November and March of their second year.